World War II emblem of the 700th Bombardment Squadron.(1943–1947) . The 700th saw combat in the European Theater of Operations from 13 December 1943-25 April 1945. It trained for bombardment missions from 1947–1949, and for fighter-bomber missions from 1952-1957. Price Includes Economy Shipping to most locations, additional fees for EURO, Africa, and South America. Constituted 701st Bombardment Squadron (Heavy) on 20 Mar 1943. Activated on 1 Apr 1943. Inactivated on 12 Sept. 1945. Redesignated 701st Bombardment Squadron (Very Heavy) on 13 May 1947. Activated in the reserve on 12 Jul 1947. Inactivated on 27 Jun 1949. Thanks to www.ranger95.com for the information. Thanks to airforce.togetherweserved.com. Price Includes Economy Shipping to most locations, additional fees for EURO, Africa, and South America. Constituted 708th Bombardment Squadron on April 6,1943. Activated on May 1,1943. Inactivated on November 7, 1945. Thanks to Wikipedia for the information. Price Includes Economy Shipping to most locations, additional fees for EURO, Africa, and South America. Redesignated 709th Bombardment Squadron (Very Heavy) on October 24, 1947. Activated in the reserve on November 10, 1947. Inactivated on June 27, 1949. 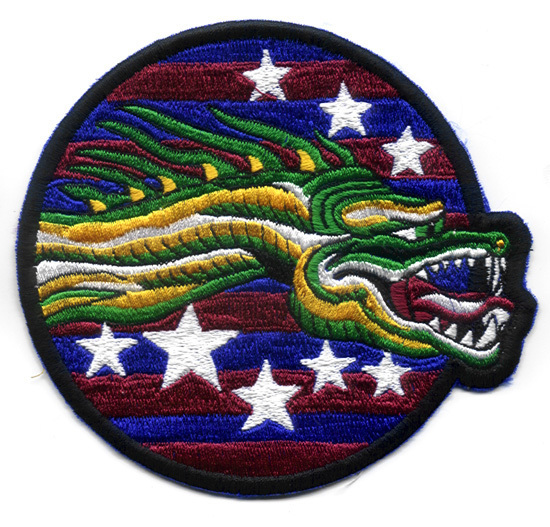 Redesignated 711th Fighter-Bomber Squadron on April 12,1955. Activated in the reserve on May 18, 1955. Inactivated on November 16, 1957. Thanks to Wikipedia for the information. Price Includes Economy Shipping to most locations, additional fees for EURO, Africa, and South America. Redesignated 713th Fighter-Bomber Squadron on October 16, 1955. Activated in the reserve on November 8, 1955. Inactivated on November 16, 1957. Thanks to Wikipedia for the information. Price Includes Economy Shipping to most locations, additional fees for EURO, Africa, and South America. The 716th Bombardment Squadron is an inactive United States Air Force unit. It was last assigned to the 449th Bombardment Wing. It was inactivated at Kincheloe Air Force Base, Michigan on September 30, 1977. The 718th Bombardment Squadron is an inactive United States Air Force unit. Its last was assigned to the 4128th Strategic Wing, stationed at Amarillo Air Force Base, Texas. It was inactivated on February 1, 1963. The 717th Bombardment Squadron is an inactive United States Air Force unit. Its last was assigned to the 4245th Strategic Wing, stationed at Sheppard Air Force Base, Texas. It was inactivated on February 1,1963. Constituted as: 719th Bombardment Squadron (Heavy) on April 6, 1943. Activated on May 1, 1943. Inactivated on June 11, 1945. Thanks to Wikipedia for the information. Price Includes Economy Shipping to most locations, additional fees for EURO, Africa, and South America. 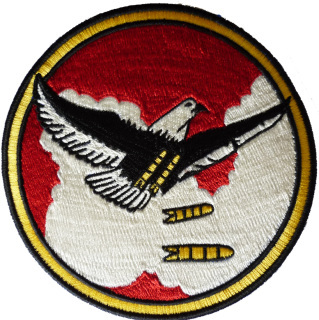 Constituted 741st Bombardment Squadron (Heavy) on May 14, 1943. Activated on June 1, 1943. Inactivated on September 9, 1945. Thanks to Wikipedia for the information.. Price Includes Economy Shipping to most locations, additional fees for EURO, Africa, and South America. Constituted 745th Bombardment Squadron on May 14, 1943. Activated on Jun 1, 1943. Redesignated 745Bombardment Squadron on Aug 5, 1945. Inactivated on Oct 17, 1945. Thanks to Wikipedia for the information. Price Includes Economy Shipping to most locations, additional fees for EURO, Africa, and South America. The 748th Bombardment Squadron is an inactive United States Army Air Force unit. It was last assigned to the 457th Bombardment Group, stationed at Sioux Falls Army Air Field, South Dakota. It was inactivated on August 28,1945. The 749th Bombardment Squadron is an inactive United States Air Force unit. Its last was assigned to the 457th Bombardment Group, stationed at Sioux Falls Army Air Field,South Dakota. It was inactivated on August 28, 1945. The 750th Bombardment Squadron is an inactive United States Air Force unit. It was last assigned to the 457th Bombardment Group, stationed at Sioux Falls Army Air Field, South Dakota. It was inactivated on August 28, 1945. The 754th Bombardment Squadron is an inactive United States Air Force unit. Its last assignment was with the 458th Bombardment Group stationed at March Field, California. The 755th Bombardment Squadron had been activated on July 1, 1943 at Wendover Field,Utah. Unit succeeded its predecessor 764th ACWS and converted to a SAGE radar unit in 1959 at St.Albans AFS,Vermont. Inactivated 1979. Thanks to www.worthpoint.com for the information. Constituted 778th Bombardment Squadron (Heavy) on May 19, 1943. Activated on August 1, 1943. Inactivated on July 31, 1945. Thanks to Wikipedia for the information. Price Includes Economy Shipping to most locations, additional fees for EURO, Africa, and South America. Price Includes Economy Shipping to most countries. EURO Africa, and South American may incur additional charges. Constituted as the 780th Bombardment Squadron (Heavy) on May 19, 1943. Activated on August 1, 1943. Inactivated on July 31, 1945. Thanks to Wikipedia for the information. Price Includes Economy Shipping to most locations, additional fees for EURO, Africa, and South America. The 812th Bomb Squadron, under the command of Capt. Fred Rabo, arrived from the United States in September of 1943 with 12 new B-17’s equipped with the U.S. Manufactured version H2S Radar units known as H2X "Mickey". The 812th BS fly B-17F and G models H2X equipped models and B-17G Eagle. Thanks to www.482nd.org for the information. Constituted 816th Bombardment Squadron (Heavy) on 14 Sept 1943. Activated on 20 Sept 1943. Inactivated on 25 Sept 1945. Redesignated: 816th Troop Carrier Squadron (Medium) on 15 Nov 1952. . The 819th Bombardment Squadron is an inactive United States Air Force unit. Its last assignment was with the 30th Bombardment Group, based at Kahuku Army Airfield, Hawaii Territory . It was inactivated on 30 November 1945. Activated in Jan 1959, the 822nd Air Division assured the manning, training, and equipping of assigned units to conduct long-range bombardment missions. The division conducted numerous staff assistance visits and monitored tactical exercises such as Operation Spruce Up and Chrome Dome. Thanks to www.strategic-air-command.com for the information. Activated as the 823rd Air Division in Jun 1956, the division monitored the training of subordinate units in long-range offensive bombardment and air-to-air refueling operations. Between 1965-1975, at various times, the division's subordinate units furnished aircraft and crews to Strategic Air Command organizations in Southeast Asia in support of Arc Light combat operations. The 834th Bombardment Squadron is an inactive United States Air Force unit. Its last was assigned to the 486th Bombardment Group, stationed at Drew Field, Florida. It was inactivated on November 7, 1945. Established in late 1943 as a B-24 Liberator heavy bomb squadron under II Bomber Command at Wendover Field, Utah; later moving to Mountain Home Army Air Field, Idaho to complete its final phase of training. At Mountain Home, the squadron received new very long range B-24 aircraft in early May. Price Includes Economy Shipping ​to most locations, additional fees for EURO, Africa, and South America. 865th Bombardment Squadron 494th Bomb Group 5.25"
The 865th Technical Training Squadron is an inactive United States Air Force unit. Its last assignment was with the 1st Missile Division, based at Redstone Arsenal Huntsville, Alabama. It was inactivated on November 1, 1959.Thanks to Wikipedia for the information. The 866th Technical Training Squadron is an inactive United States Air Force unit. Its last assignment was with the 1st Missile Division, based at Redstone Arsenal Huntsville, Alabama. It was inactivated on 25 May 1962. Shipping Included to most countries. Countries in EURO, South America, Africa will be billed accordingly. 931st Air Refueling Group, stationed at McConnell Air Force Base (AFB), Wichita, KS, began in 1963. On 15 January 1963, the unit was constituted as the 931st Troop Carrier Group, Medium. On 11 February 1963, the unit activated, aligned under the Continental Air Command, and began operations at Bakalar AFB, IN. In July 1967 the unit redesignated to the 931st Tactical Airlift Group. During that time airlift operations were conducted using the C-119. Thanks to www.globalsecurity.com for the information. Price include economical shipping to most locations. Additional fees for EURO, Africa, South American countries. Price Includes Economy Shipping to most countries, so EURO, South America, or African Countries will cost additional. Replica patch for the landing of the first TR-1 (later U-2R) aircraft 065 that General Wier (USMC retired) LM test pilot delivered from the factory for the inauguration of the U-2/TR-1 Training squadron, which prior to that had been called a flight within the 99th SRS and later as the “school house” was broken out of the 99 Sq, it was known as the U-2 RTU (or Replacement Training Unit). Thanks to www.u2sr71patches.co.uk for the information. The 4128th Strategic Wing inactivated on 01 February 1963, and was succeeded by the 461st Strategic Wing (Heavy), later redesignated the 461st Bomb Wing, which remained at Amarillo AFB until it inactivated on 25 March 1968. Thanks to www.globalsecurity.org for the information. Price Includes Economy Shipping to most locations, additional fees for EURO, Africa, and South America. The change in the mission of the 450th to strategic bombardment began on 1 September 1958 when Strategic Air Command (SAC) established the 4136th Strategic Wing at Minot Air Force Base, North Dakota, an Air Defense Command base and assigned it to Fifteen Air Force. On June 25, 1966, the 4200th became officially the 9th Strategic Reconnaissance Squadron. The first SR-71 to arrive at Beale AFB on January 11, 1966 was a dual cockpit trainer model designated the "B" model. On 15 June 1959, Strategic Air Command established the 4228th Strategic Wing at Columbus AFB, Mississippi as part of SAC's plan to disburse its B-52Stratoforness heavy bombers over a larger number of bases, thus making it more difficult for the Soviet Union to knock out the entire fleet with a surprise first strike.